When considering different flooring options, maintenance and authenticity are important. Floor options like wood and stone are beautiful, but if you’re not interested in the upkeep required to keep them in good condition, you do have another option. Laminate flooring is a great solution for those who want the look of wood and stone, but without all the maintenance. High-quality laminate floors look just as beautiful as hardwood and other flooring materials, but are easy to take care of and will last for years. Cost can also be an issue. If you’re looking for a less expensive but quality flooring solution, laminate is a great option for you. Contact 2 Day Flooring if you’re interested in getting laminate flooring installed in your home. It is a beautiful, inexpensive, and maintainable option for anyone. When it comes to the look of your floors, laminate is a great option because there are several different options in appearance. From a variety of hardwood-type looks to different stone-like options, laminate flooring is a great way to have beautiful-looking floors installed for less. Laminate floors are also incredibly durable. From spills and messes caused by the kids to pets tracking in mud or having accidents, laminate floors make cleaning up easy. Laminate flooring doesn’t scratch easily or stain, and specific properties in laminate allow it to maintain its authentic appearance for long periods of time. If you’re looking for beautiful and durable floors, laminate flooring is a great choice for you. Update your floors quickly and easily with laminate flooring. With such a wide variety of laminate flooring to choose from, you can put laminate floors in every room of your house and still maintain a unique feel for each and every one of them. Laminate flooring is perfect for rooms that get a lot of traffic: the kitchen, bathrooms, entryways, and mudrooms. However, they’re also great in spaces like bedrooms, dining rooms, and living areas because they’re beautiful and easy to clean and maintain. Laminate floors are stain and scratch-resistant, easy to take care of, beautiful, and affordable — they are a great option for any room in your house. If you’re interested in having laminate floors installed in your Wesley Chapel home, contact 2 Day Flooring for an in-home estimate today! Get in touch with us at 2 Day Flooring if you’re interested in having new flooring installed in your Wesley Chapel home. We are experienced professionals who work quickly and efficiently to transform the look of your home with new floors in just a couple of days. 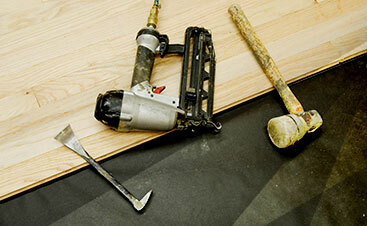 We work with you throughout the entire floor installation process. 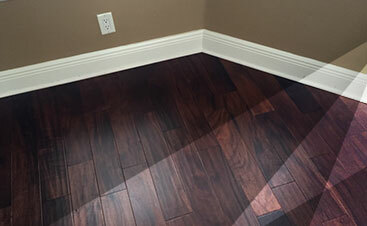 From deciding on the type of floors that will work best in your home and giving you an estimate to installing and finishing the job, we are dedicated to providing premium service the entire way through. We are a Top Rated Local® company because we are dedicated to our customers’ satisfaction. 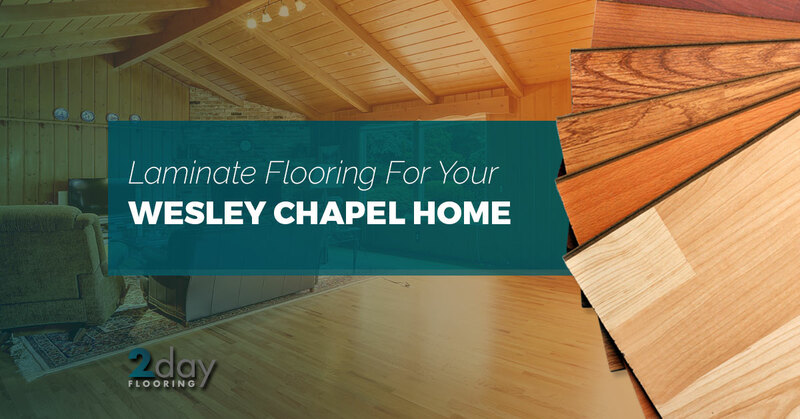 If you’re ready to have new floors installed in your Wesley Chapel home, contact us today!